In September 2015, the United Nations formalized the Sustainable Development Goals, which provide a foundation for action to solve some of the world’s most difficult challenges. At PYXERA Global, we see this as a tremendous opportunity to harness the capabilities of the private, public, and social sector, catalyzing and accelerating action to make progress against these goals. 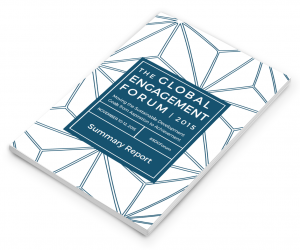 The Global Engagement Forum on November 10-12, 2015 brought together leaders and organizations from across the three sectors to discuss how best to partner and move from aspiration to achievement. The two-day Global Engagement Forum focused on how strategic partnerships among public, private, and social sector organizations can effectively address the Sustainable Development Goals through strategic program alignment and collaboration. Stuart Hart (Capitalism at the Crossroads), Sheryl WuDunn (A Path Appears), Sue Norton (Pepsico), C.D. Glin (Rockefeller Foundation), Milan Samani (Leadership Laboratories), Trevor Gunn (Medtronic) and dozens of other leaders joined us for a practical and inspirational exploration of how tri-sector partnerships can lead the way to a better future. On the morning of November 12, many joined us for a live broadcast from the Knight Studio at the Newseum from 10am-1pm EST. Watch the entire broadcast above or follow the links below to watch specific segments. 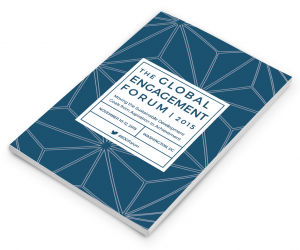 In a series of conversations and flash chats, we amplified for a global audience the key lessons and commitments of the Global Engagement Forum which took place November 10-11. OPENING DISCUSSION: Are the Sustainable Development Goals Good for Development? Deirdre White, PYXERA Global’s CEO, kicked off the program alongside Sheryl WuDunn, author of A Path Appears and Kathy Calvin, CEO of the UN Foundation, to talk about the implications of the Global Goals. COURAGEOUS COLLABORATION: What Do a Chemical Company, a Bank, and The Nature Conservancy Have in Common? Glenn Prickett, Chief External Affairs Officer at The Nature Conservancy, joined Mark Weick, Director of Sustainability Programs at Dow and Matt Arnold, Managing Director and Head of Environmental Affairs at JPMorgan Chase to discuss how courageous collaboration can result in projects that are good for business and good for nature. PIONEERING THE MINDSET: How Can Corporate Leaders Commit to Changing the World? Mark Kramer, Co-Founder of the Shared Value Initiative and Stan Litow, Vice President of Corporate Citizenship and Corporate Affairs at IBM and President of the IBM Foundation talked about how their organizations have pioneered change in how companies approach purposeful global engagement, and how future leaders can embrace the opportunity to become pioneers. SHOW ME THE MONEY: How Can Blended Capital Advance the SDGs? Ricardo Michel, Director, Center for Transformational Partnerships at USAID, Kate Ahern, VP of Social Innovation at The Case Foundation and Donna Callejon, Chief Business Officer at Global Giving discussed how new funding models and blended capital are changing the way organizations approach the SDGs. Alicia Lenze, the Head of CSR at SAP, speaks alongside Jon Clifton, the Managing Director of Gallup Global Analytics talked about the challenges and opportunities of activating youth worldwide. Clifton talked about Gallup’s report, Where the Great Jobs Are and together, they discussed how employment and the digital economy can engage young people to live prosperous lives. The live broadcast was proudly sponsored by The Dow Chemical Company, SAP, and the UN Foundation. Two-dozen organizations hosted Global Engagement Forum watch parties. 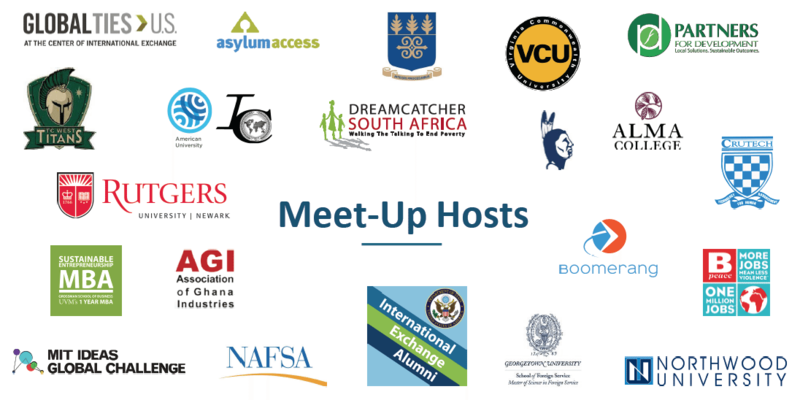 These Meet-Ups convened nearly 600 people across the United States from Cambridge, Massachusetts, to San Francisco, California, and in communities across South Africa, Ghana, Nigeria, Tanzania, Benin, and Cambodia. Author, A Better World, Inc.
Stuart Hart, author of the ground-breaking book, Capitalism at the Crossroads, and Professor of Management at the University of Vermont, kicked off the Forum with a talk on the power of entrepreneurship and innovation to change the status quo. Stuart is one of the world’s top authorities on the implications of environment and poverty for business strategy. “The new Sustainable Development Goals provide a comprehensive list of the many challenges that must be addressed if we are to move toward a more sustainable world in the years ahead,” says Hart. “But how can we capture the attention and investment of the private sector in helping to drive this process?” His talk reframed the SDGs as business opportunities and describes how corporations and new ventures might help solve the world’s problems in the process. Christian Bartley, Chair of MIT IDEAS Challenge Advisory Board, convened a panel to explore how social enterprises get started and what can be done to help them reach scale. He spoke with Scott Boylston, CEO of Emergent Structures, Mohammed Ashour, CEO of Aspire Foods, and David Wilcox, Founder of Reach Scale. That’s right, intrapreneurship! At the same time that new social enterprises are changing the game for global social impact, global multinational corporations are also trying to figure out how to leverage innovation for market creation. Milan Samani, the Director of Leadership Laboratories, works alongside global management consultants and subject-matter experts to help ‘intrapreneurs’ inside large companies develop profitable innovations that create social impact. Intrapreneur Labs help individuals convert innovative ideas into tangible projects and, in the process develop intrapreneurial leadership qualities. Milan led a roundtable discussion and workshop on intrapraneurship. Luke Filose, CSR Manager at Intel, talks about the Sustainable Development Goals ICT Playbook, and how Intel uses technology to support the SDGs for greater social impact. 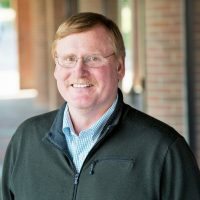 Trevor Gunn, Vice President of International Relations at Medtronic joins a plenary panel on how companies can leverage innovation and collaboration to drive business results and sustainable impact. How do leadership capabilities and mindset influence the 2030 agenda? Steve Schein, author of A New Psychology for Sustainability Leadership: The Hidden Power of Ecological Worldviews, and professor of business at Southern Oregon University, led a panel discussion on how K-12 education, study abroad, and immersion learning can provide leaders with the worldview to succeed in a global context. Harris Ginsberg, Program Director of Leadership Development at the Conference Board, convened a roundtable discussion in leadership and mindset, and how companies, nonprofits, and educational institutions can work together to foster mutual understanding and a meaningful mindset in a complex world. 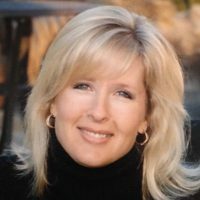 Jennifer Clinton, CEO of Global Ties, gave a Flash Chat on the power of global exchange to open doors and minds. Yasmina Zaidman, Director of Strategic Partnerships, Acumen, hosted a plenary panel, Funding the Challenge, which featured perspectives from Matt Arnold, Managing Director and Head of Environmental Affairs at JPMorgan Chase, the Ricardo Michel*, Director of the Center for Transformational Partnerships at the US Global Development Lab at USAID, and other innovative funders seeking to leverage blended capital for sustainable impact. David Wilcox convened a roundtable discussing on how diverse funders and investors can work together to advance and ultimately achieve the SDGs. Sustainable supply chain is often one of the most underutilized tools for corporate social impact, but an important area for innovation to achieve the goals in economic growth and conservation. Deirdre White, CEO of PYXERA Global, convened a panel discussion on how local enterprise and supply-chain can effectively advance the SDGs. The panel included Gosia Nowakowska-Miller, Local Supplier Development and Strategic Community Investment Specialist at the International Finance Corporation and Chris Anderson of Yirri Global who discussed how large multinationals are leveraging local supply chains for economic growth and gain. Partnership and volunteering are two critical enablers of the SDG agenda. Sue Stephenson, Vice President of Community Footprints at Ritz-Carlton Hotel Company, convened a panel and discussed the commitments companies are making to volunteering through the IMPACT 2030 initiatives, and how corporate volunteering in particular has the potential to deliver sustainable impact in support of the SDGs. Alice Korngold, author of A Better World Inc, led an exploration of the power of volunteering to drive sustainable transformation. The panel included representatives from GSK and Credit Suisse, who discussed a recent study on how cross-border volunteering can develop corporate leadership competencies. Scott Beale, CEO of Atlas Corps, hosted a roundtable discussion on the power of volunteering to create opportunity, featuring BPeace, Moving Worlds, and the Utopia Foundation. Deirdre White, CEO of PYXERA Global, convened a roundtable discussion on the challenges of effective partnership, and how public, private, and social leaders can leverage partnership for mutual gain. Health is a complex, integrated issue, driven by access to healthcare, food security, and well-managed water and sanitation. Pape Amadou Gaye*, CEO of IntraHealth International, delivered a Flash Chat focused on how the organization is leveraging mobile technology for effective health monitoring. C.D. Glin, Associate Director, Africa Region for The Rockefeller Foundation, shared how post-harvest loss can effectively address Goal 2, the quest to end hunger with affordable nutrition, and Goal 12, the pursuit of sustainable consumption and production patterns. Sue Norton, Vice President of Global Citizenship at PepsiCo, gave the closing keynote on the first day. She discussed PepsiCo’s commitment to Performance with Purpose, and how their focus on healthy lives, effective resource management, and women’s empowerment, has positioned the company for growth and social impact. Eunice Heath, Global Director of Sustainability at the Dow Chemical Company, discussed the company’s commitment to innovation, especially in the domain of environmental conservation and effective resource management. The Nature Conservancy* convened a panel discussion on how to address Goals 11-15, which are focused on resilient infrastructure, inclusive and sustainable industrialization, and making cities and human settlements inclusive, safe, resilient, and sustainable. The conversation also addressed the challenges and opportunities of developing sustainable consumption and production patterns, the policy and production changes needed to combat climate change and its effects, as well as the environmental mandate to protect, restore, and promote sustainable use of terrestrial ecosystems, sustainably manage forests, combat desertification, and halt and reverse land degradation and halt biodiversity loss. Nicole Goldin*, a leading expert in global youth, development, international affairs at CSIS, convened a panel discussion on how education and skill development can create jobs and foster economic growth, featuring Alicia Lenze, Vice President and Head of Global CSR at SAP and Deborah K. Holmes, Americas Director for Corporate Responsibility at EY. 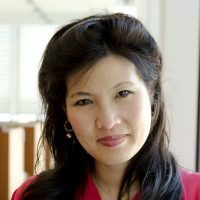 Sheryl WuDunn, author of Half the Sky and A Path Appears, provided the closing keynote addressing how a focus on women and girls, justice, and livelihoods as a human right, can effectively end poverty and enable sustainable growth. The Forum also featured interactive workshops by Ideo.org and CollaborateUp, to help committed partners discover how to advance the SDGs! The Global Engagement Forum will take place at the Knight Conference Center at the Newseum. One of the top attractions in Washington, D.C., the Newseum is a dynamic and interactive museum showcasing history through the eyes of the media. Following the two day Global Engagement Forum and Broadcast, we look forward to toasting PYXERA Global’s 25th Anniversary at the historic Union Station, D.C.’s major train station and transportation hub.